Mark has led Meta to be one of the best known corporate finance advisory businesses in the south of the UK which is widely respected for high quality advice and empathetic transaction management services. Mark has developed Meta’s Associate model bringing in industry and skill specific specialists who offer not only a flexible resource but real depth in both transactional and non-transactional experience. Clients find this mix of pure M&A and financial skills with a real depth of industry and transactional experience very attractive, not least in identifying the real drivers of value in their sectors and businesses. Mark is best known for his creativity in transaction structuring and dealing with complex shareholder issues, always being focused on getting transactions completed and meeting the overall objectives from both a shareholder and corporate perspective. Despite a degree in chemical engineering, Mark chose a career in finance and worked in KPMG's offices in London, Gatwick and Maidstone. 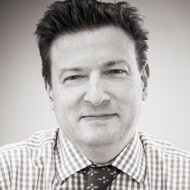 He was one of the original members of KPMG's M&A practice in London and founded Meta in 1999. Mark was awarded the ICAEW Corporate Finance Qualification in 2006 and sits on the steering committee of the Kent Corporate Finance Alliance. Mark is also Head of EMEA and sits on the management committee of CDI Global, a worldwide M&A cross border specialist with over 50 offices in 30 different countries. CDI is a unique business with a good mix of M&A specialists and ex corporate development officers who know their industries in depth. CDI has advised major corporates worldwide in searching for acquisition targets and divesting businesses as well as assisting global private equity players achieve their goals. Mark also chairs a marketing consultancy in the built environment and a holiday let company, both with other family shareholders. Mark's interests outside work include travel, including by motorbike, good food and wine and the joy of entertaining friends and family.